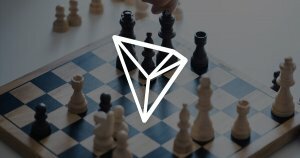 Tron CEO Justin Sun recently revealed details of Tron’s highly anticipated “secret project” at the Tron Virtual Machine launch Aug. 31, officially announcing Project Atlas. The new project will see the Tron blockchain integrate with the recently acquired BitTorrent platform. Project Atlas is set to connect BitTorrent’s peer-to-peer network with Tron’s blockchain, establishing an in-client token economy intended to develop a new “borderless economy” that aims to address the issues presented by the current BitTorrent technology paradigm content distribution models. Related: Tron Founder Justin Sun Set to Acquire µTorrent, BitTorrent, Inc.
During an in-depth breakdown of Project Atlas at the Tron Virtual Machine launch, Sun revealed the specifics of the new BitTorrent initiative. Using a set of BitTorrent protocol extensions, Project Atlas will incentivize active participation in BitTorrent content distribution by rewarding users that seed torrents with tokens. In his Project Atlas architecture explanation, Sun noted that a new custom token will address the existing limitations of the BitTorrent network, allowing the platform’s 100 million users to exchange value in an entirely new manner on a global scale. Interestingly, the Project Atlas ecosystem does not integrate mining. Users participating in the Project Atlas ecosystem exchange tokens with one another on the basis of sources provided. The Project Atlas platform is also backward-compatible with all BitTorrent clients in use today. In addition to the announcement of Project Atlas, Tron has announced the launch of the platform’s Virtual Machine which, according to Sun, could potentially see Tron capacity increased to more than 1 million transactions in one day. The Tron Virtual Machine, according to Sun, is compatible with the virtual machines employed by other blockchain networks, such as Ethereum. While Tron has not yet announced an official launch date for Project Atlas, the release of a new suite of Tron development tools—TronLink, Tron Remix, TronWeb and TronTruffle—is set to accelerate the progress at which the Tron network is growing. The post What is Project Atlas? Justin Sun Reveals Details of New Tokenized BitTorrent Platform on Tron appeared first on CryptoSlate.